Apulia or Puglia makes up Italy's southeastern corner, which is how it got the nickname "Italy's Heel." It's still relatively untouched by mass tourism and has managed to keep its rustic charm, but it's on its way to becoming one of the hottest destinations in Europe. Thanks to its golden beaches, unique architecture, quaint villages and unparalleled food, this region has been likened to the Amalfi Coast without the crowds. 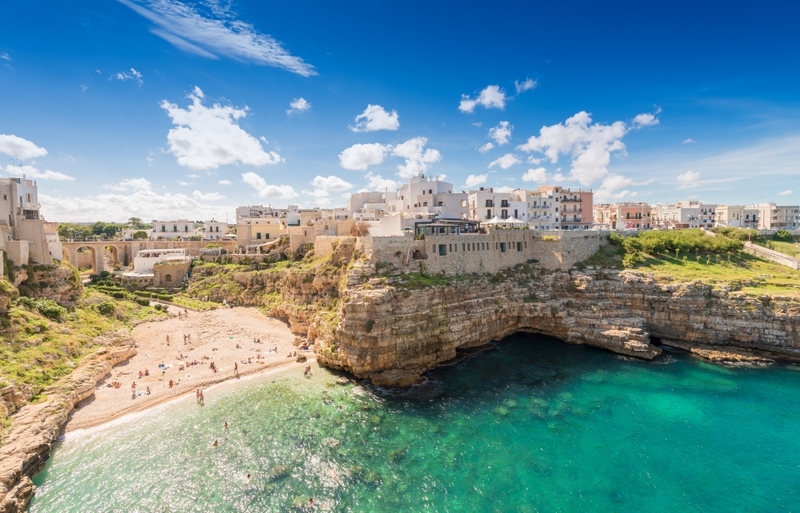 Spanning 400 kilometers from north to south and surrounded by two seas, Puglia's warm climate and fertile soil yield ancient olive trees and fresh, organic cuisine that attracts foodies from around the globe. These 12 sights are just the beginning of Puglia, and they'll make you want to book tickets right away! Itria Valley, known also as Trulli Valley, is most famous for its peculiar architectural structures called trulli. These stone huts are characterized by their cone-shaped roofs and whitewashed walls. They were once the homes of peasants, but today they're a symbol of the whole Puglia region. Trulli can be found all over the valley, but some of the most popular places to find them are villages of Locorotondo, Cisternino and Martina Franca. 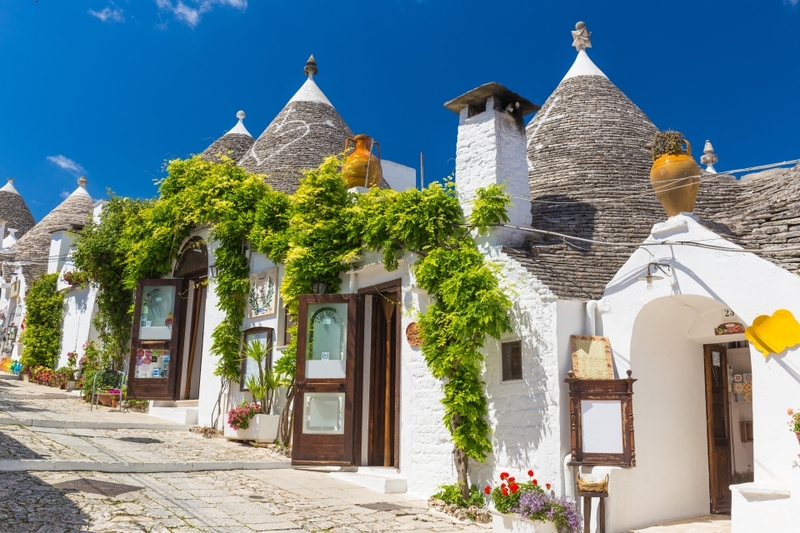 The town of Alberobello has the most famous collection of trulli. In fact, the town consists entirely of trulli houses, 1,500 to be exact, and it's a UNESCO World Heritage Site. Wander around trulli-lined streets and enjoy this unique place, unlike anything you've ever seen before. To get an authentic sense of what's it like living in these domed huts, you can even spend the night in a trulli. Situated on a craggy rock overlooking the Adriatic Sea, this small seaside town is arguably one of the most romantic spots in Italy. The town is famed for its one-of-a-kind beach, Cala Porto, an impressive stretch of sand surrounded by cliffs with crystalline emerald water. This dreamlike beach is perfect for enjoying stunning picture-postcard views, but if you want a spot in the sun you'd better get up early. It's no secret that it gets very crowded during the day in summer. Another Insta-famous landmark in town is the Grotta Palazzese, a magical restaurant and terrace inside a natural cave overlooking the sea. Dubbed as one of the most exclusive restaurants in the world, having a romantic dinner here is a jaw-dropping experience. At first glance, this magnificent city might remind you of Greece. 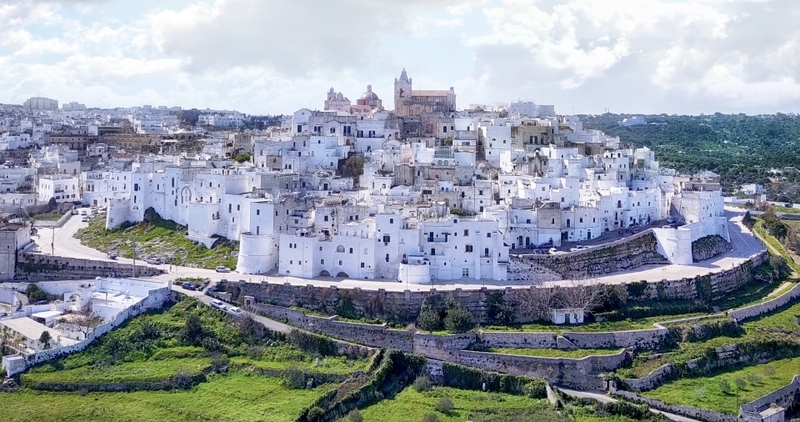 Sitting on a hilltop, this charming town is famous for its whitewashed houses and maze-like alleys, hence the name the White City. Its shimmering architecture creates a dramatic contrast to the surrounding greenery. And just a few kilometers from the Adriatic Sea, this town features astonishing views over the water. Get lost in the city's lovely, narrow streets and feel the dolce vita vibes everywhere you turn! This spectacular network of caves stretches several kilometers underground, making you feel like you're on a journey to the center of the Earth. 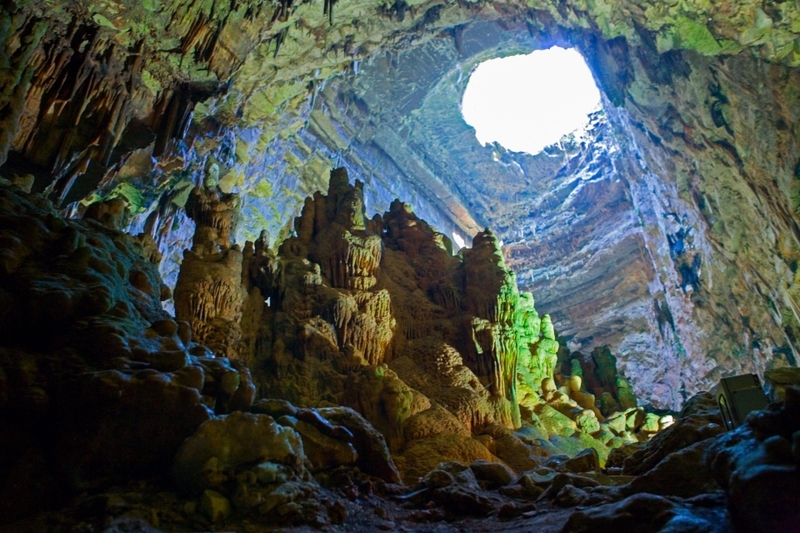 Considered to be the most important and largest karst complex in Italy, these caves are a truly spellbinding sight. Take a guided tour and admire the impressive stalactites and stalagmites, incredible underground landscapes, and canyons hiding inside. Also, a huge underground performance happens here all year round called Hell in the Cave. The show represents the first part of Dante's Divine Comedy and it's a truly extraordinary and one-of-a-kind experience. 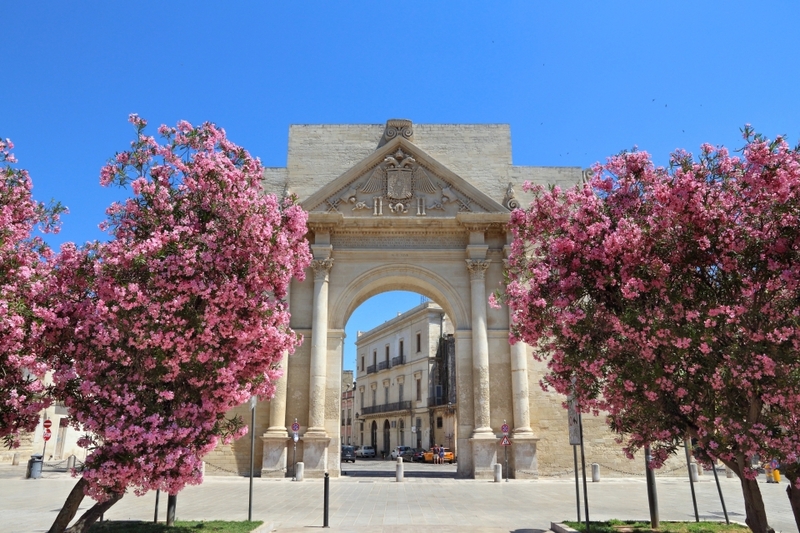 Labeled as the Florence of the South due to its majestic Baroque structures, Lecce is a true gem that's still not overrun by hordes of tourists, preserving its traditional Italian charm. Baroque monuments are all over the city center, from churches to royal palaces. The Basilica di Santa Croce is the main church in town and considered one of the most beautiful Baroque buildings in the world. Another must-see is the large, well-preserved Roman amphitheatre located on the city's main square, Piazza Oronzo.